Beverly Davis has a degree in Visual Communications from the Art Institute of Seattle, majoring in Illustration and Graphic Design. 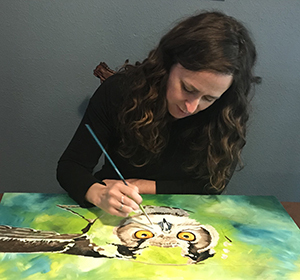 Art has been threaded through her life extensively from teaching art enrichment classes and private lessons, to commission work and involvement in the local Art Guild in Bellingham, Washington. Painting since 1990, Bev is best known for her realistic style which brings portraits of animals and people to life. She continues to explore the use of light and color in her paintings to capture the beauty of the Pacific Northwest where she lives. Currently Beverly sells her work online (BevsArt.com) and at the Whatcom Art Market, a local co-op gallery.